who hereby declares them to be in the public domain. 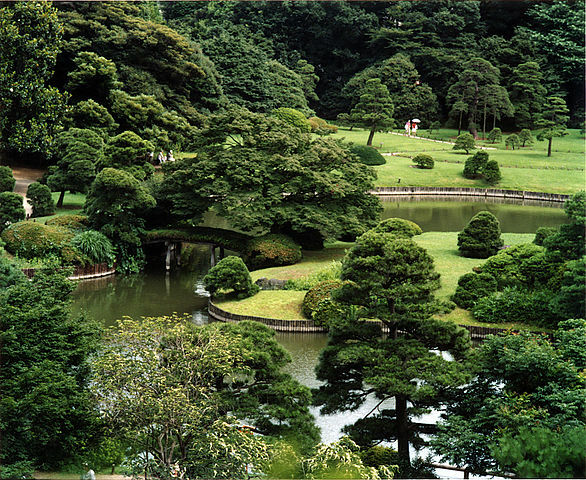 Rikugien, a Japanese garden in Tokyo, Japan, photographed by Fg2 on March 29, 2005. Next April 22 will be Earth Day. The March for Science will be on that day. Scientists – and those who appreciate science – will be demonstrating to remind everyone of how indispensible science is to our understanding of how the world works, and to our ability to survive and thrive. To survive and thrive we use tools: mental tools – concepts, knowledge (conclusions) and skills – and physical tools. The demonstrators will be reminding us all that the relentless testing of all of our tools, using testable evidence, is the only way of arriving at conclusions and other tools that are reliable enough to build upon. Well-tested conclusions and other tools are fruitful even when they are incomplete or approximate. Because tested tools have withstood at least some testing, they carry at least some information, so they contain clues as to improve on them. From experience, we know that well-tested conclusions and well-tested other tools exist, and are better in the long run than unreliable conclusions and other tools. A testable and well-tested assertion is worth of being called a fact. An unsupported assertion is not worthy of being called a fact. There is no such thing as an alternative fact. There can be alternative perceptions, but not alternative facts. That is what the demonstrators desperately want to remind us of, because malignant people are trying to make us forget that hard-earned understanding, and if we do forget it, our future will be as was aptly described by Thomas Hobbes: nasty, brutish and short. 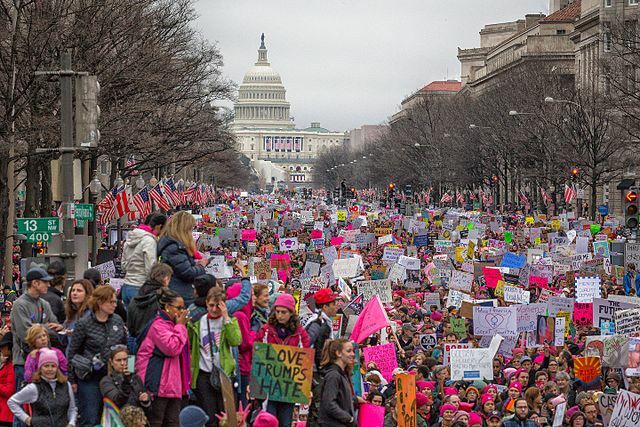 For the March for Science to be all that it can be, it must learn an important lesson from the Women’s March on Washington. 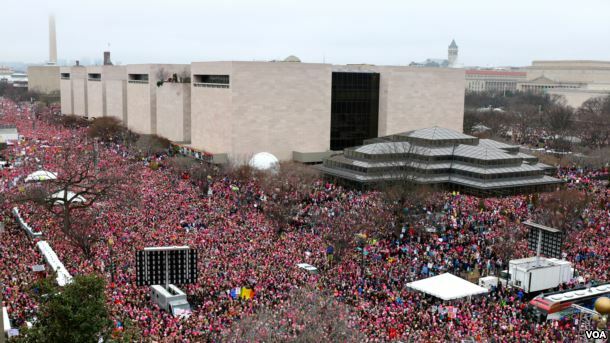 Ellen McCarthy, Lavanya Ramanathan, Maura Judkis published in the Washington Post an informative account of that event. But they mis-interpreted one feature of what happened there, and it is exactly that feature that the planners of the March for Science need to understand correctly. And resentment brewed as some marchers took off while speakers of color were still standing at the microphone. I was there, and the crowd’s impatience had nothing to do with who was speaking or with what they were saying. It had everything to do with it being “the third hour“. At that point, we no longer cared or even noticed who was speaking. Most of us couldn’t see the stage, so we couldn’t see any ethnic or religious indicators of the speakers. Most people had been standing since well before the program began: for more than three hours. We had been happy to hear what the early speakers had said. But now we were saturated. We didn’t want to hear another thing, no matter how pertinent, no matter how interesting it would have been if we had heard it earlier. That would have been true even if we had been seated and warm. But we were stiff and cold – and most important – the speeches had continued beyond our attention span. Enthusiastic attendees morphed into disgruntled attendees. Three hours was just too much. We needed to move. We wanted to march, since that would be how we would have our say. We wanted to shout at the White House, “Lock him up!”, as we so delightedly shouted once we started walking. It is easy to see why the planners of the March made the mistake of exceeding our attention span. The planners had wanted to enlist the participation and support of as many organizations as possible. Each of those organizations wanted to publicize its cause and its views. It wanted time in the limelight for its spokesperson. The error was in allotting too much time to each of so many speakers. The organizers of the March for Science will likewise have enlisted many participating organizations. The guiding principle for any such event should be to have at most an hour and a half of speeches, total. If that means five minutes per speaker, that will be far better than what happened here. The need to make each statement brief will yield more memorable statements. If you want to comment on this post, or just want to add your name as endorsing or disputing its assertions, go here. To avoid cluttering the ‘latest postings’ page, WordPress includes the mechanism for commenting only on the page for the individual posting, never on the page that shows all of the recent postings. So click here, scroll to the bottom of the post, and submit your comment. The remarkable new book, ‘Dark Money’, by Jane Mayer, shows that a many-fingered long-lasting conspiracy by very wealthy, very greedy, very defensive individuals, underlies much of what has degraded and coarsened American political life over the past two and a half decades. The conspiracy was instigated by Charles and David Koch. The conspiracy is driven by the self interest of Charles and David Koch and their co-conspirators. They all rationalize it to themselves as the defense of liberty – but only of those liberties that benefit themselves. It is a conspiracy to subvert American democracy. Jane Mayer shows that it was started when Charles Koch concluded that he couldn’t achieve his goals via the open political process. Their convocations impose utmost secrecy: no mobile phones, no notes, no audio or video recording. The eleborate precautions are described on page 9 of Jane Mayer’s book. That it is a conspiracy is proven by its secrecy. Supreme Court Justices Antonin Scalia and Clarence Thomas have been speakers at these meetings. Were Scalia and Thomas paid to speak? How much? Was their air travel and lodging reimbursed, or paid directly by the meeting’s sponsors? Almost certainly. Scalia’s and Thomas’ attitudes on issues that were likely to come before the Supreme Court may have been influenced by those at the secret meetings at which they spoke. But more likely, they were invited to speak, and agreed to speak, because they were known to already favor plutocracy over democracy. In turn, that almost certainly influenced how they voted when the Supreme Court was reaching its decision on Citizens United. The Supreme Court’s majority decision on Citizens United enabled wealthy donors and the executives and board members of wealthy corporations to have much more influence – per person – on elections and on elected officials, than do ordinary citizens such as you and I. As a result, PACs became prominent. A PAC is not supposed to coordinate in any way with the candidate it supports, but news stories too numerous to count cite direct contacts and indirect signalling between candidates and ‘their’ PACs (yes, that is how some of the PACs are described in news stories), and there is much transfer of personnel between the campaign staff and the PAC and vice versa. PACs provide an effective way of influencing political outcomes, and are one of the Koch conspiracy’s major tools. No more ‘significant political say for each active citizen’. The political voice of a director of a PAC, of a lobbyist or of a politician who has an affiliated PAC, or of a wealthy individual, a corporate executive, or a member of a corporate board that contributes importantly to a PAC, is much louder than the voice of any ordinary citizen. This has seriously corrupted American political life, and has greatly attenuated poltical democracy. Because of – or as evidenced by – their participation in these secret meetings, Scalia and Thomas were biased, and should have recused themselves from the decision on Citizens United. If asked, Scalia and Thomas might claim that they attended and spoke as private citizens, that they were merely speaking for themselves, exercising their Constitutional rights of freedom of assembly and of speech. As private citizens? Hah! No one believes that for a moment. By virtue of their special status, Justices of the Supreme Court are always seen – accurately or inaccurately – as reflecting upon the Supreme Court when they speak on any topic having political ramifications. By virtue of their special status, Justices of the Supreme Court receive special treatment at airports. Unless their hosts proved travel in a private airplane, both Scalia and Thomas probably availed themselves of that special treatment in their flights to and from these Koch-sponsored events. Private citizens do not receive this special treatment. Doesn’t the Supreme Court issue guidelines on the out-of-court activities of its Justices? Federal employees receive such guidelines, to reduce as much as possible both impropriety and the appearance of impropriety. Attendance and giving a speech at a public meeting is proper for a Supreme Court Justice, as long as that attendance is not subsidised nor paid for. Attendance at secret meeting is proper for a Supreme Court Justice, as long as the meeting is within the premises of the Supreme Court, and includes all of the Justices. It is not proper for a Justice of the Supreme Court to attend and speak at a secret meeting on political policy, outside of the Supreme Court, and probably without even the knowledge and assent of all of the other Justices. Two Justices of the Supreme Court committed a serious breech of ethics, casting great doubt upon their impartiality. You can thank the Koch conspiracy for that. If you want to comment on this post, or just want to endorse or dispute its assertions, go here. To avoid cluttering the ‘latest postings’ page, WordPress includes the mechanism for commenting only on the page for the individual posting, never on the page that shows all of the recent postings. So click here, scroll to the bottom of the post, and submit your comment. Was Donald Trump Born in the US? Trump Sr. at Citizens United Freedom Summit in Greenville South Carolina May 2015, photo by Michael Vadon. 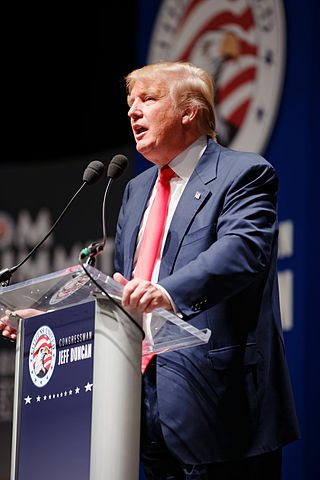 Donald Trump recently announced that he is running to become the next President. This is the same Donald Trump who refused to accept the abundant evidence that Barack Obama was born in the US, and that Obama’s Presidency was therefore legitimate according to paragraph 5 of Section 1 of Article II of the Constitution of the United states of America. This is the same Donald Trump who insisted that President Obama publish a validated copy of his birth certificate. 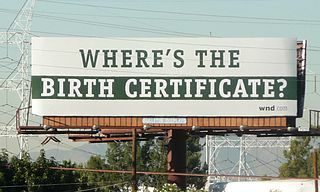 Billboard challenging the validity of Barack Obama’s birth certificate. The billboard is located in South Gate, and photo was taken on November 12, 2010. 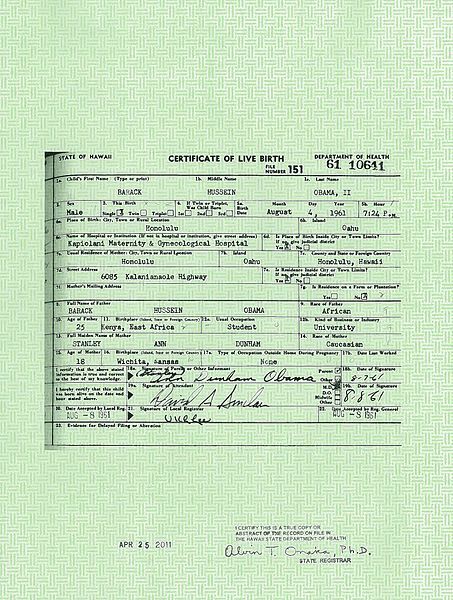 Barack Obama’s long form birth certificate, from the State of Hawaii Department of Health. This is the same Donald Trump who wasted so much of his own time and attention, and that of the public, by being the last prominent ‘birther’ to refuse to accept the abundant solid evidence about the place of Obama’s birth. This is the same Donald Trump who ensured that time and energy and newsprint and bandwidth would continue to be wasted on what was generally acknowledged to be a refuted claim. This is the same Donald Trump who selected himself to stand in the schoolhouse door, in what everyone knew would be a futile attempt to block Obama’s path. Is this Donald Trump eligible to be President? 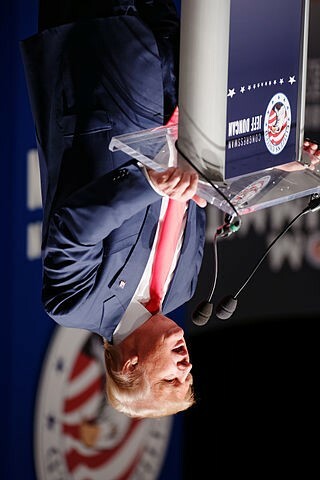 Is the energy and time – his own and the public’s – that Trump expended on this silly charade, an indication of how he would allocate his attention and the nation’s resources, if he became President? He was smart enough to know that it was a charade, wasn’t he? If he did, then his wasting of our time and energy was so egregious that it was unpatriotic. If he didn’t, then he is unfit to be an executive of anything. I cannot believe that he was stupid enough to fall for the birther wishful thinking. Therefore he had chosen self-promotion over the welfare of the country. That is unpatriotic enough to make us wonder, was Donald Trump born in the USA? At Trump’s every campaign appearance, demand to see his birth certificate. Demand that he publish a certified copy. Michael Gerson recently reviewed lesser known aspects of Trump’s political history. 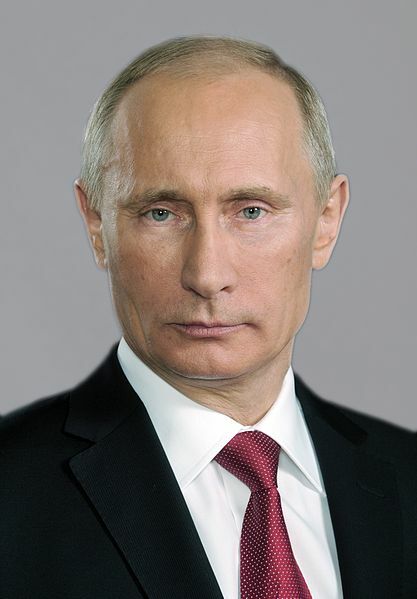 Official portrait of Vladimir Putin (2006). This file comes from the website of the President of the Russian Federation and is copyrighted. Putin: the person who derailed Russia’s transition to becoming a fair and open society, governed by the rule of law, instead of by the convenience of a mafia. Putin: the mugger who robbed Crimea from Ukraine because Ukraine had overturned Putin’s protogee Viktor Yanukovych. Putin: who subsequently manufactured a surprisingly well equipped military separatist movement in eastern Ukraine that has triggered a new cold war. Somehow Trump forgot to mention his admiration of Putin while announcing his candidacy. After all, the voters deserve to know about each candidate’s role models. Is someone who approves of Putin fit to be President? At Trump’s every campaign appearance, ask him about his approval of Putin. At every interview, ask Trump about his approval of Putin. A birther, who wasted everyone’s time by pretending that a dead issue was still alive, solely to draw attention to himself. An admirer of Vladimir Putin’s approach to governing. This post can be summarized in three words: Trump Tramples Truth! If you wish to comment on this post but do not see a box where you can submit a comment, that is because WordPress includes the mechanism for commenting only on the page for the individual posting, never on the page that shows all of the recent postings. So click here, scroll to the bottom of the post, and submit your comment. 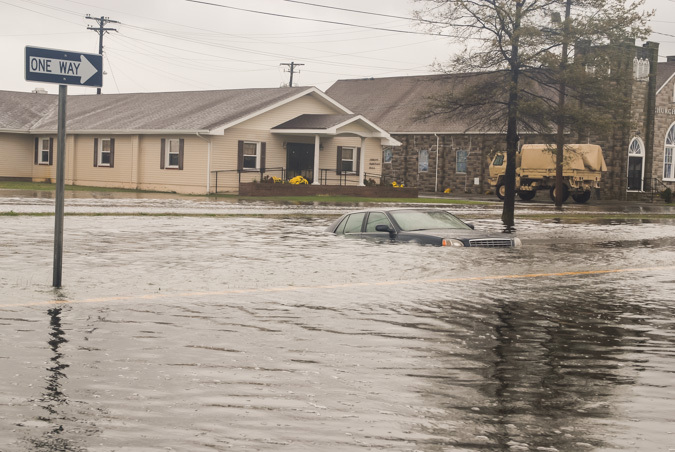 Flooding of Crisfield, Maryland by Hurricane Sandy. Photo taken on 30 October 2012 by the Maryland National Guard, Uploaded by Dough4872 . The drumbeat of news items carries a message that we can no longer avoid hearing. Rising sea levels, vanishing ice, wild fires, extreme storms. The climate is changing with unnatural speed. Human activity is warming our planet. For recent examples, see here and here . Tidewater Virginia will suffer greatly: Virginia Beach, Norfolk, Newport News, and Hampton. So will many other parts of Virginia. Aerial views during an Army search and rescue mission show damage from Hurricane Sandy to the New Jersey coast, Oct. 30, 2012. The soldiers are assigned to the 1-150 Assault Helicopter Battalion, New Jersey Army National Guard. U.S. Air Force photo by Master Sgt. Mark C. Olsen. This is pertinent because Terry McAuliffe and Ken Cuccinelli are competing to be the next Governor of Virginia. Creepy Cuccinelli’s record on climate change is not based on evidence. He believes only what he wants to hear. He believes only what it is politically convenient for him to hear. He is James Inhofe east. If he had been interested in evidence, he would not have tried to bully and discredit Michael Mann, a climate scientist who was then at the University of Virginia. If Cuccinelli had been interested in evidence, he would not – Putin like – have tried to intimidate the scientific community. If Cuccinelli had been interested in evidence, he would have protected the freedom of academic inquiry, instead of trying to squelch it. The data now confirm what climate scientists had calculated: global warming will cause sea levels to rise, thereby flooding some coastal areas year round, and also increasing hurricane damage to nearby areas that aren’t permanently flooded. In Virginia Beach, in Norfolk, in Newport News and in Hampton, everyone’s insurance will go up. In Virginia Beach, in Norfolk, in Newport News and in Hampton, everyone’s property values will go down. 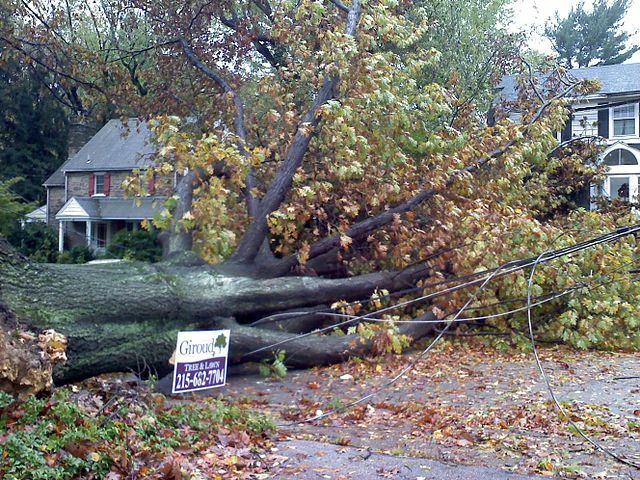 Damage from Hurrican Sandy in Wyncote, Cheltenham Township, Pennsylvania, USA, photographed by Peetlesnumber1 . In Virginia Beach, in Norfolk, in Newport News and in Hampton, the interest rates on new mortgages will rise, to cover the increased risk to the lender. In Virginia Beach, in Norfolk, in Newport News and in Hampton, more houses and commercial buildings will be flooded by storms, and more will be wrecked. More farmland will be ruined. More cars will be ruined. 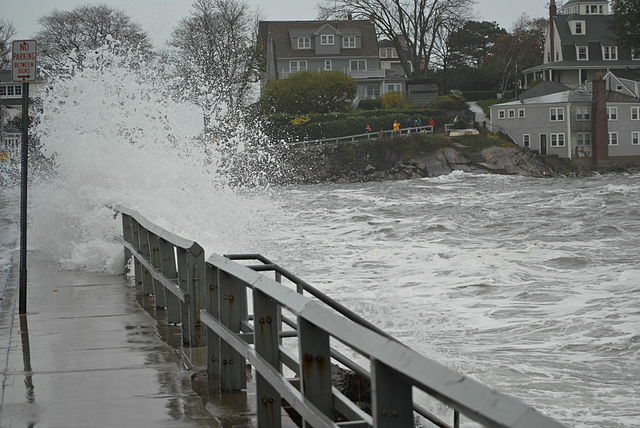 Flooding in Marblehead, Massachusetts, caused by Hurricane Sandy, photographed 29 October 2012 by the Birkes. In Virginia Beach, in Norfolk, in Newport News and in Hampton, more people and animals will die or be injured by storms. Damage caused by Hurricane Sandy to the New Jersey coast photographed during a search and rescue mission by 1-150 Assault Helicopter Battalion, New Jersey Army National Guard, Oct. 30, 2012. 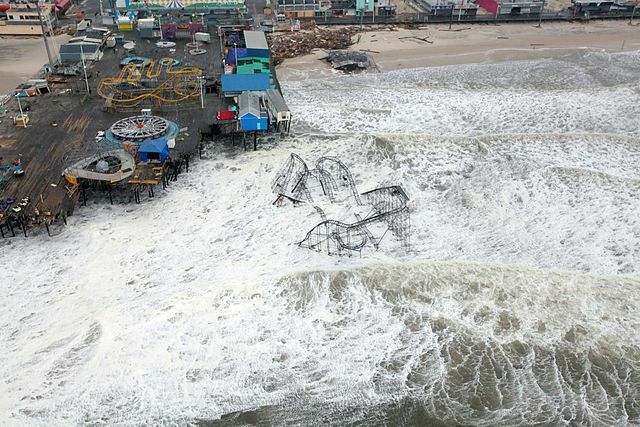 (This appears to be Casino Pier, Seaside Heights, New Jersey.) Photographed by Master Sgt. Mark C. Olsen/U.S. Air Force/New Jersey National Guard. The same is true for Chesapeake and for Suffolk. The same is true for Chincoteague and for Wallops, for Smith Island and for all of the islands that extend north east of it. If the ponies on Chincoteague could vote, they would be well advised to vote against Cuccinelli. Prime Hook National Wildlife Refuge (Delaware) experienced extensive flooding during Hurricane Sandy. This photo shows a before and after of the beach between the Prime Hook Beach community and Slaughter Beach, 2 November 2012. Credit: US Fish and Wildlife Service. The same is true for all of Accomack and Northampton, and westward across the bay to Gloucester, Lancaster, and Northumberland. Jamestown, Williamsburg and Yorktown are on low ground in Virginia’s Tidewater. They are vulnerable to damage by storms. Irreplaceable historical sites and objects may be irretrievably lost. 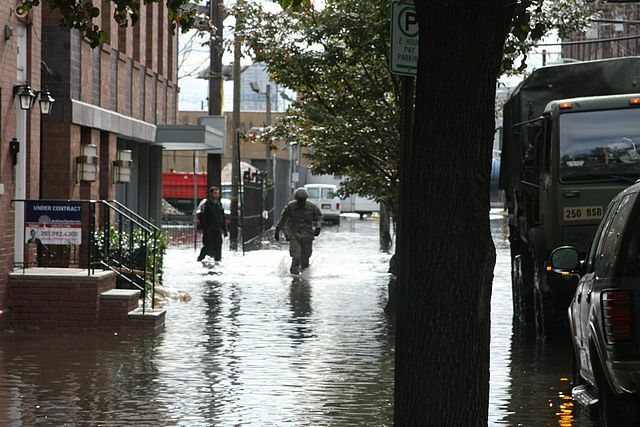 New Jersey National Guard Soldiers assist displaced residents at the town of Hoboken Oct. 31. (U.S. Army photo by Spc. Joseph Davis/Released). Source: New Jersey National Guard, Uploaded by Dough4872 . 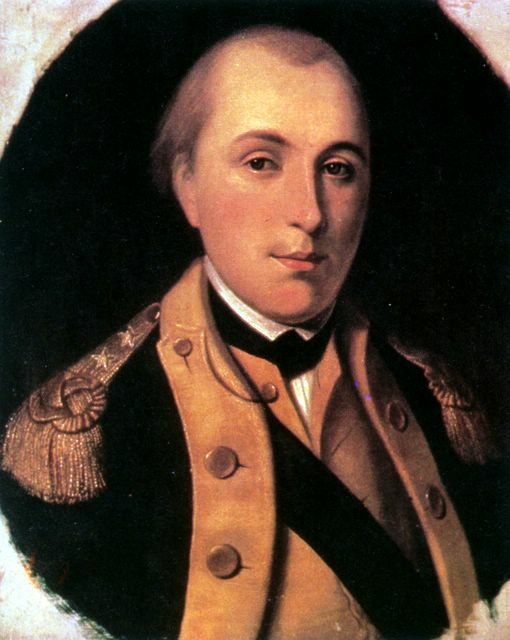 Rivers swollen by a low-moving hurricane could flood Westmoreland, including Stratford Hall Plantation, and also the birthplace of George Washington. They could innundate Colonial Beach, Dahlgren, and Quantico. Flooding can reach well inland. Flooding isn’t global warming’s only threat to lives and livelihoods in Virginia. The increase in fires is now obvious. 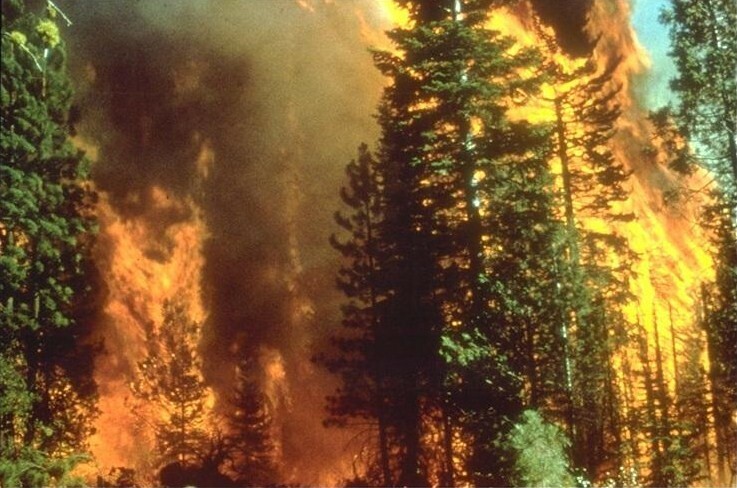 In fact, for the second year in a row, the Federal budget for fighting wildfires hasn’t been sufficient. Extreme drought is also more likely. So agriculture everywhere in Virginia will be under stress. A California wildfire, photographed by the U.S. Bureau of Land Management. 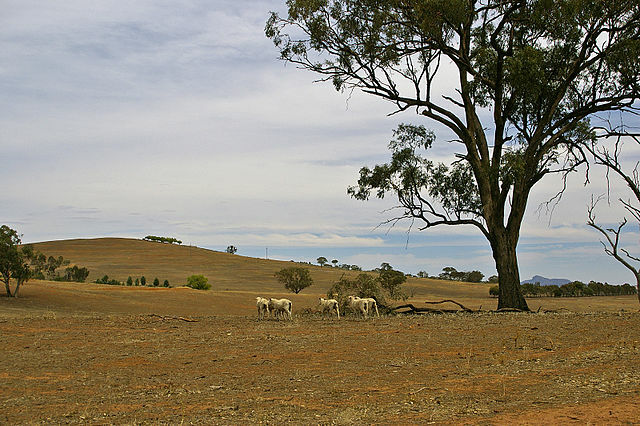 Sheep on a drought-affected paddock near Uranquinty, photographed 14 February 2009 by Bidgee. Much of that will happen now no matter what, because we have waited so long to temper global warming. But it will be much worse if there is further delay. If Ken Cuccinelli becomes Governor, further delay is guaranteed. Ken Cuccinelli is willfully blind to the effects of global warming. He has backed himself into a political corner. He would lose face if he admitted that global warming is real and poses real threats. 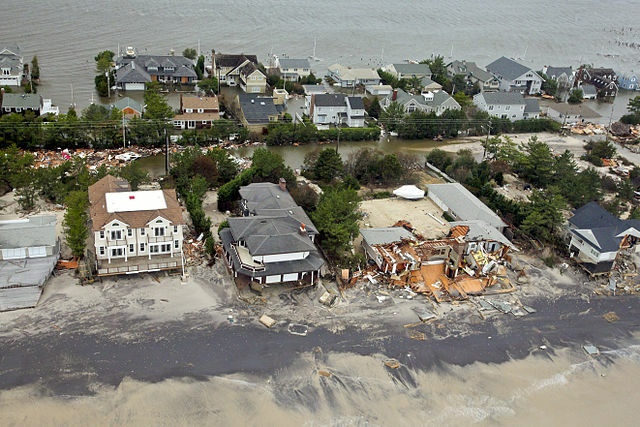 Rather than pay the political price of that admission, Cuccinelli would prefer to have Tidewater Virginia end up looking like New Orleans after Hurricane Katrina. Of the two candidates for Governor of Virginia, only Terry McAuliffe would have Virginia prepare to mitigate the damage that will undoubtedly be caused by climate change. Maybe that is why the Virginia Association of Realtors endorsed Terry McAuliffe rather than Cuccinelli. Tempering the effects of global warming would reduce the damage to property values from flooding. If you live in Virginia, voting for Cuccinelli would be voting against your own future. Your lives and health and health are at stake. So are those of your children, pets and livestock. So is the value of your property – your house, land, business, and car. And so are the historic sites at which we refresh our knowledge of who we are. More than coastal Virginia is threatened by global warming. Agriculture is threatened everywhere in the state. Anyone wanting to protect their future should ask Cuccinelli about his past and present views on climate change, and about his attempts to bully Michael Mann and the climate science community. I feel doubly honored to have been selected for a Very Inspiring Blogger Award, first, because being selected says that others find my blog to be interesting and useful, and second, because docreedy, who selected my blog, has a blog of very high quality, in which she provides vivid insight into a culture that has become important to us, but is difficult for us to understand except via personal experiences such as hers. So my double thanks to Dr. Reedy. I highly recommend her blog, which goes well with the first blog in the list of nominated blogs below. Thank the person who nominated you and link back to them in your post. State 7 interesting things about yourself. 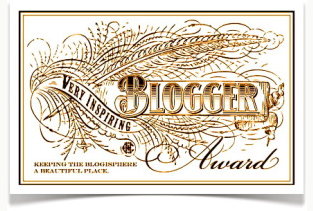 Nominate 15 other bloggers for this award and link to them. Leave a comment on each of the blogs letting them know they have been nominated. 2. When I was a baby, the landlord’s dog would get under my crib when I cried, and move her back up and down to rock me, until I stopped crying. 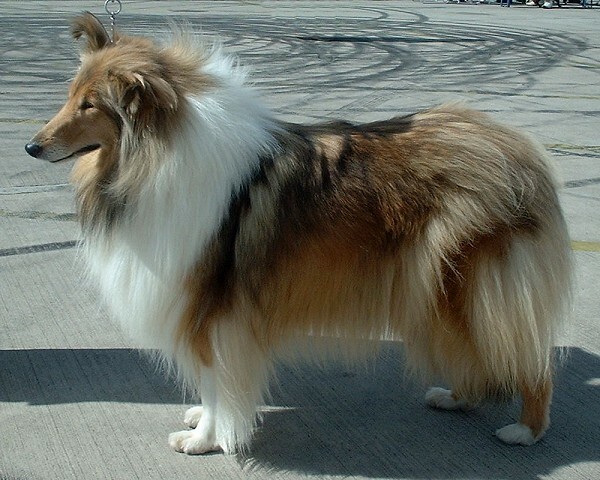 A Rough Collie. Photo by sannse at the City of Birmingham Championship Dog Show, 30th August 2003. 4. We lived the the Rockaways, on Long Island. From many places, you could see the ocean when you looked in one direction, and the bay when you looked in the opposite direction. After one hurricane, the streets flooded. My mother was standing on the porch, contemplating this novel sight, when she saw a neighbor swimming home after his commute. (The streets had flooded while he was at work.) A very polite man, on previous occasions he had always tipped his hat to her as he walked by. This time, he paused in his swimming, tipped his hat, and then swam on. Rockaway, Long Island, in Queens, in New York City, photgraphed by Jorfer on a senior trip on 22 May 2007. 5. In the first grade, we were sent home for lunch. It was implicit that were were supposed to return to school afterwards, but no one had told me that explicitly. I suspected that we were supposed to return, but decided not to until someone told me I had to. Day after day I enjoyed the freedom of wandering the streets after lunch, often convincing another kid to join me. Eventually, as I expected would happen, I was scolded. For my playing hooky – or for something similar – the school’s Principal, Mr. Ritter, said that he would spank me. According to my parents (and I vaguely remember saying it), I told him that if he hit me, my parents would sue him. He backed off. 6. We moved to Far Rockaway a couple of years later, and my elementary school became PS 39, the same school that Richard Feynman had attended long before me. Hurricane Sandy probably destroyed that school building, and all of the houses I had lived in before going away to college. 7. Throughout elementary school and junior high, I was terrible at math, and hated it. I liked English, history, science (which at that level had no math), and art. I could perform the steps of long division, but only dimly glimpsed what the result meant, and didn’t care what it meant. I was so bad at math that when I read that an astronomer had to be good at math, I sadly gave up my ambition to be one. Naively, I decided to be a chemist instead. Despite my mathematical incompetence, at the urging of a teacher I was sent to a high school that specialized in preparing students to go on for college majors in engineering. I was so bad at elementary algebra, that during the first Parent-Teacher conference day the math teacher told my mother that I had to either improve dramatically or return to the local high school. He gave her the names of some supplementary textbooks, and somehow she managed to obtain them. I went through them, working all of the problems, but this time determined to become skilled at algebra. Then I worked through the problem book for the New York State Regents exam for elementary algebra. By then I was doing fairly well in algebra, but was afraid of having something thrown at me that I wasn’t ready for. So I went through the problem book for intermediate algebra, and then the one for trigonometry. I was beginning to hear the music in math – the counterpoint and multiplexing that could be discerned in each answer. If an answer was ugly, it was usually wrong. Working a problem had a kinesthetic aspect: it felt like dancing. Mathematics had become intensely enjoyable, and I was now good at it. Still in my freshman year, I then went through the problem book for advanced algebra. It included an introduction to differential calculus: a huge number of calculations of derivatives, via inserting small increments and then taking a limit. That had me really excited, because I had been talking to another student in my home room who also wanted to be a chemist, and he had told me that the kind of chemistry I liked was called ‘physics’. I had gone to the school library to see whether that was so, had read de Broglie’s Revolution in Physics, and Einstein and Infeld’s Evolution of Physics, and saw that he was right. Those books said that calculus was a main tool in physics, so working problems in calculus was sheer bliss. I finally understood arithmetic, especially the significance of division, from doing algebra and from those increment+limit calculations in differential calculus. I had also discovered that most mastery comes from being self-motivated and teaching yourself, with school viewed as just an adjunct. Mathematics had become so enjoyable that I couldn’t stop doing it. I acquired college books on calculus and worked the problems. During my Junior year in high school, a neighbor, an electrical engineer, complained that he had been unable to work out a formula for the length of a single cycle of a sine wave, which he needed for his work. By then I thought that if an integral could be performed, I could do it. I wrestled with it for a while, then recognized that the difficulty was that this integral was of a special type called an elliptic integral, and gave him the answer in terms of a complete elliptic integral of the second kind. I also began asking and trying to answer my own curiosity-driven questions about mathematics. Ever since then, a major component of my life, and of who I am, has been self-driven research in mathematics, physics, and now also astrophysics. The more you know about those subjects, the more fascinating they become. 1. http://hotmilkforbreakfast.wordpress.com/ Together, this and the blog that nominated me give eye opening insights into the daily life and views of ordinary Afghans, who thereby become far less puzzling, very human, and very diverse. 2. http://broadsideblog.wordpresscom/ Fresh insights into politics, into living and loving, and into earning a living. 3. http://lifewithbump.wordpress.com/ The bump refers to a ‘baby bump’, but the topics are diverse, and the commentary is heartfelt. 4. http://illbeoutinaminute.com/ Wildly creative and imaginative, perceptive and humorous, and very frank looks at human nature. 5. http://thefurfiles.com/ Wonderfully humorous, perceptive, and frank insights into what really goes on inside our heads. 6. http://koshersamurai.wordpress.com/ You never know what topic will come up next, but it is always interesting. 7. http://jameswight.wordpress.com/ Remarkable insights into the environmental tug of war in Australia. Lessons for everywhere. 8. http://sustainableutah.wordpress.com/ Dramatic photos and comments on environmental damage in a beautiful environment. 9. http://thepoliticalidealist.com/ An up-close, careful analysis of politics and education in the UK. Instructive for anyone. 10. http://bierstadt54.wordpress.com/ Novel insights, mostly on international politics, but sometimes on changes in culture and technology. 11. http://everydayambassador.org/ Postings by diverse people who want to help others. Glimpses of worlds you otherwise would not see. 12. http://icelandpenny.wordpress.com/ A sharp-eyed, appreciative walking observer of Toronto, who adds it to your neighborhood. 13. http://hikingphoto.com/ Spectacular photography, mostly of dramatic scenery, but some of water drops and smoke, and photography tips. 14. http://shareabitoflove.com/ Striking close-up photography. The rarely noticed beauty nearby. 15. http://scienceornot.net/ How to tell whether a widely repeated claim is just an urban legend. A WordPress site, despite the URL. Hurricane Sandy: Flooded Avenue C at East 6th Street in Manhattan’s East Village neighborhood of Loisaida, moments before the Con Edison power substation on 14th Street and Avenue C blew up. 30 October 2012. Photographed by David Shankbone. A valuable analysis by Eugene Robinson in the Washington Post points out that Willard Mitt Romney and Paul Ryan are opposed to Federal disaster relief by FEMA, and to regulation and to inspections by the Federal government. They want to transfer these functions to the states, or – whenever possible – to the private sector. I urge you to read Eugene Robinson’s article. It makes many important points that I will not repeat here. I will only add a few comments. Patient with menigitiis and menigism (neck stiffness), original caption: Patient violently ill with acute epidemic meningitis. Markedly stuporous and delirious; head retracted and very stiff, 1913, Source: Sophian, Abraham: Epidemic cerebrospinal meningitis (1913), St. Louis, C.V Mosby (Scan from archive.org). Author L.A. Marty, M.D, Kansas City. The meningitis outbreak spans more than once state. The same is true of most problems with contaminated foods, contaminated drugs, outbreaks of disease, natural disasters, oil spills, abuses by banks or other financial companies, etc. The individual states do not have the funds or the expertise or the scope to collate the data to discover that there is a new problem, to figure out its nature and source, and to fight the problem. If they tried to do those things, having fifty times as many agencies trying to do what the Federal agencies now do would represent a tremedous duplication of effort – a huge waste of funds. Even with that, the states would fall short of what FEMA, the CDC, the FDA and the Department of Agriculture can presently do. At present, the state agencies complement what the Federal agencies do, and they benefit from the information provided to them by the Federal agencies. As for the costs, we all benefit from the economies of scale provided by the Federal agencies. If a problem is caused by a farm in Texas or a company in Massachussetts, other states have no authority to force the responsible party to do anything quick and dramatic. Only the Federal government has the Constitutional authority to due that, via the ‘commerce clause’. As for the private sector, almost every recent man-made disaster – meningitis, contaminated food, oil spills, the financial meltdown caused by the granting and selling of risky mortgages – shows that industries cannot monitor themselves. The conflict of interest is too strong. Willard Mitt Romney and Paul Ryan would destroy most of the protections we now have, because they just do not understand, and they do not want to understand. Would you really want to lose FEMA, or the CDC? 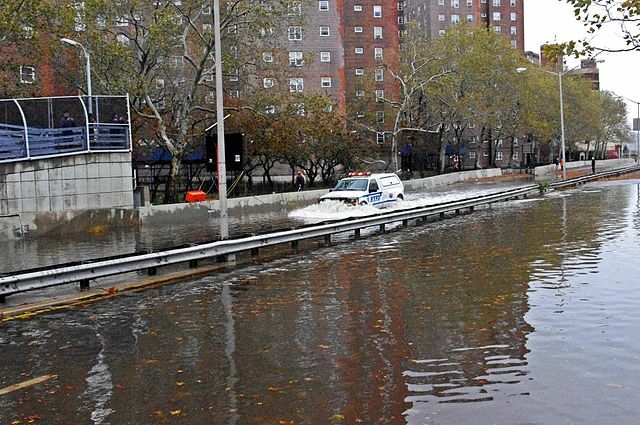 Hurricane Sandy: The FDR Drive flooded next to the East Village neighborhood in Manhattan. 30 October 2012. Photographer: David Shankbone. 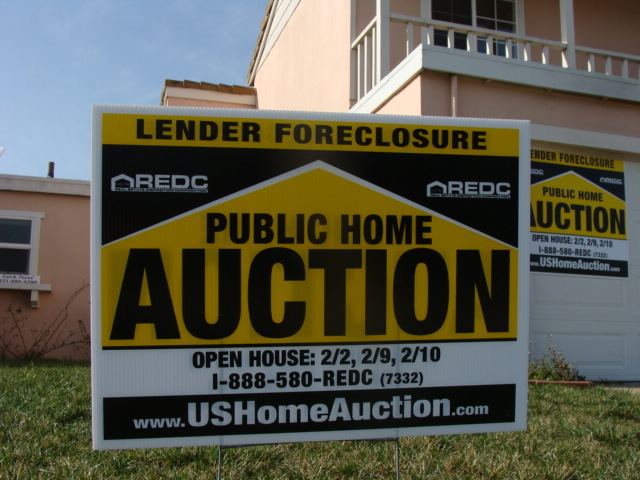 Half million dollar house in Salinas, California under foreclosure. 2008-02-13, photographed by Brendel at en.wikipedia.org . Now is the season when we stock up on candy to give out to the trick-or-treaters who will come to our door on Halloween. We will not be buying Snickers nor M&Ms nor Milky Way bars, nor anything else made by Mars. Actually, we won’t be buying Reese’s Cups either, nor any candy made by Cadbury, Kraft, Nestle, or Hershey. This is not just because those candies taste so blah. And it is not just because the candies in Halloween bulk packs sold by these companies keep becoming smaller. It is because of the politics of these companies. They sell many billions of dollars of candy each year, about 40% of it at Halloween. They use their profits to fund political positions that increase the concentration of wealth (a significant cause of our present economic problems), cause economic instability by opposing reasonable regulation, damage the environment (both immediately, and by delaying action on climate change), handicap voting and other rights of social minorities, and retard the public’s understanding of science. Politically, Mars stands out, so let’s talk about that company. According to Wikipedia, both the family and the company are extremely secretive. In keeping with that, most – but not all – of the family’s and the company’s political activity is sneaky. They are obsessed with ending the Estate Tax, a tax that affects only a tiny fraction of families – families such as theirs. So we have been stocking up on Halloween candy at organic markets and similar stores. The candy tastes better, is healthier for the kids, and its purchase does not advance political evil. Trick-or-treating at the first house. Photograph 31 October 2007 by Belinda Hankins Miller. Mold overwhelming tomatoes. Photo by Schimmel (Netherlands), obtained via Wikipedia (http://en.wikipedia.org/wiki/Mold). In a previous post, I mentioned that global warming is likely to cause fungal diseases to become a major problem at non-tropical latitudes, where they have hitherto been only a minor problem. This post will explain why. The talk focused on cryptococcus neoformans, a fungus that presently causes over 600,000 human deaths per year. But the talk also described in general how biological evolution and the typical temperature in a region jointly affect which organisms in that region are vulnerable to infection by many different types of fungi. The most important factor is whether an animal’s internal temperature is or is not much warmer than the typical outdoors temperature. Must species of fungi will evolve to thrive at the typical outdoors temperature. That means that they will not thrive – and usually cannot survive – inside the body of an animal whose internal temperature is much warmer than is typical outdoors. Toe nail fungus can grow under a human toe nail, but it cannot invade the interior of a human body, because we are warm-blooded, and our insides are too warm for the fungus to survive inside us. The same is true of athlete’s foot. Many colonies of bats in caves have been killed recently by white nose syndrome, which is caused by a fungus. The bats are immune to the white nose fungus during the summer, when the bats are active, and the insides of their bodies are warm. But infection by the white nose fungus can sweep a colony during the winter, when the bats hibernate, and the insides of their bodies are cool. Little brown bat with white-nose syndrome in Greeley Mine, Vermont, March 26, 2009. Wikipedia. Cold-blooded animals are much more vulnerable to internal infections by fungi. One species of frog has recently become extinct due to fungal infection. Insects are especially vulnerable. A scratch on an insect’s body is very likely to lead to a fatal fungal infection. Those statements apply today, at non-tropical latitudes. But as the typical outside temperature rises at those latitudes, the fungi will evolve, and will become adapted to the higher temperatures. People who live at those latitudes – and all other warm blooded animals who live there – will then become more vulnerable to internal infection by fungi. That will happen without any planning or effort on the part of the fungi. Every new generation of a particular species of fungus will a have a few individual new colonies which result from spores or buds which, due to random errors when the parent’s genetic code was copied while generating the spores or buds, would thrive in a warmer environment than would be optimal for the parent colony. There will also be a few new colonies which would thrive in a cooler environment than would be optimal for the parent colony. If the environment has warmed, then – on average – more of the warm-happy colonies will thrive and produce offspring. Generation to generation, in small jerky steps, the bell-shaped curve of the temperatures that are optimal for that species will jerk slightly toward higher temperatures more often than it jerks slightly toward lower temperatures. Without knowing it, that species of fungus will adapt to a warmer environment. By the way, this process – biological evolution – is so effective that software engineers now mimic it on computers, to generate computer algorithms that can function in complicated environments, and in changing environments. Examples are Genetic Programming, artificial neural nets, and cellular automata. How fungal infection will be affected by global warming is analyzed in more detail in two articles (references 2 and 3) that are cited in the section “Advantages and disadvantages of an endothermic metabolism” in an article in Wikipedia. The pain to infected individuals and the economic cost of the increased fungal infection of humans, livestock, and wild animals should be included when weighing the near-term and long-term net costs of delaying action on climate change. Tags: Australia, Democratic Party, Democrats, election, Green Party, Republican Party, Republicans, U.S.
Several posts (Jill Stein, Roseanne Barr, and the Green Party, Mr Belly Button and the Green Party) in this blog have pointed out the negative electoral effect of the Green Party, and its vagueness, impracticality and grandiose quality. The US Green Party seems to be a self-indulgent hobby. Its only effect on US politics so far has been to help Republicans win elections. Of course, this unintended effect blocks the achievement of all of the goals of the Green Party, and of those who vote for its candidates. Wight’s blog shows that the Australian Green Party, unlike the US Green Party, does the hard work of crafting detailed policies and justifies them with quantitative data and analyses. Thus they really contribute something substantive and usable to discussions of policy, and their ideas can be cited and used even by the elected members of other parties, as well as by the Green Party itself. Unlike the US Green Party, the Australian Green Party is constructive. – It could propose detailed, quantitative proposed legislation and regulatory action. This should be detailed enough to be used as draft legislation, and should be backed by quantitative data and assessments of impact. – It could avoid siphoning votes away from the Democratic Party.